In 1952, Norman Thelwell penned his first cartoon for the satirical British magazine Punch, renowned internationally for its wit, irreverence, and for publishing the world’s best comic writers and poets. This led to a relationship that lasted for 25 years and over 1,000 cartoons, including 60 front covers. 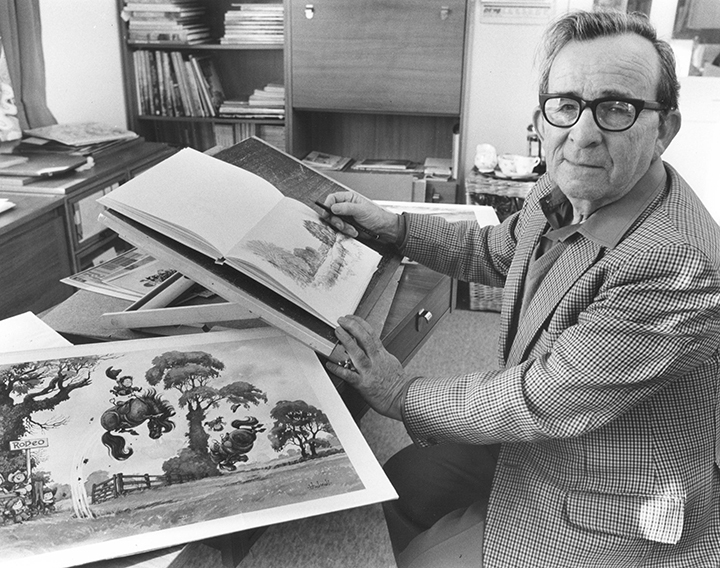 Thelwell was a master of sharp social comment and sheer zany humor, and his 34 books have sold millions of copies worldwide and have been translated into numerous languages. He is perhaps best known for his cartoons of little girls and fat, hairy ponies, for which his name has become synonymous (thelwell.org.uk).